We all desire healthy and happy relationships. And we also want to feel healthy and happy within ourselves. Achieving these things shouldn’t play out like it’s a lottery. Creating great emotional and relationship health is not just about luck. It takes knowledge and skill, too. Yet accurate, practical, and effective information about how to achieve lasting psychological and relationship health is ridiculously hard to come by. 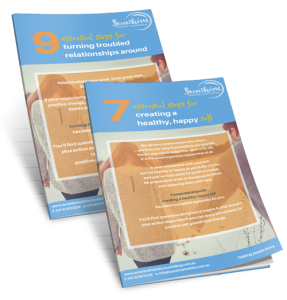 Sunshine Holistic Counselling will equip you with the essential knowledge and skills you need to create healthy relationships (with yourself… and with others) that thrive. Immediate solutions for couples and co-parents, regardless of your unique goals. Restore family harmony and prepare your teenager to become a young adult who truly thrives. Heartfelt support and new knowledge, insights, and skills, for lasting personal growth and change. The word “holistic” is there in tribute to our other background in naturopathy and nutrition, which taught us that great relationship health, great emotional health, and great nutritional health go hand in hand. It’s the smartest way to get to the heart of things and create lasting positive relationship and personal change. Sunshine Holistic Counselling specialises in couples counselling, family counselling for parents and teens, and individual counselling. We also help separated or divorced couples become successful and collaborative co-parents for kids that thrive. Contact Pamela here, and let’s get started.